Since mankind started roaming this planet, we have been making history. Although we learned some of them in school, not everything is taught. That does not mean that the events are any less interesting. Certain historical events that took place at the dawn of time has changed the world to what it has become today. The Apollo 11 landing and the fall of the Berlin Wall are just a few of history’s most defining and interesting events. History books aren’t long enough to accommodate everything that has taken place, so obviously they focus on the grand sweep of events, rather than individual stories. These smaller stories do in fact deserve to be recognized, since they have had a huge impact on this world and have changed the progress of mankind. 1. 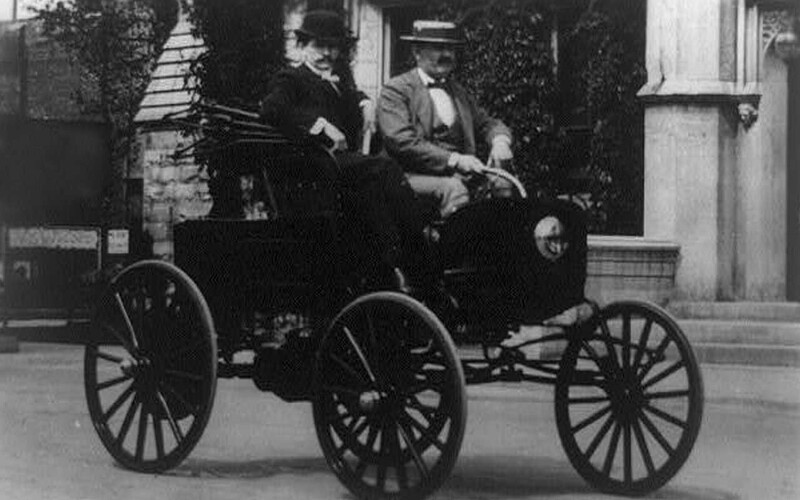 At the 1904 Summer Olympics, the first competitor in the men’s marathon finished the race not by running, but by driving in a car. After running 9 miles, he was exhausted, so his manager picked him up in a car for the rest of the 11 miles. The 1904 Summer Olympics took place in St. Louis, Missouri. It was the first time the Olympic Games were held outside of Europe and only 12 countries participated. Most of the contestants either cheated or performed ridiculous stunts to emerge victorious. Of all the acts, the men’s marathon was the most ridiculous and downright humorous. The event, which was supposed to take place early in the morning, started at noon when the temperature was above 90 degrees. There were a total of 32 competitors, but only 14 of them reached the finish line. 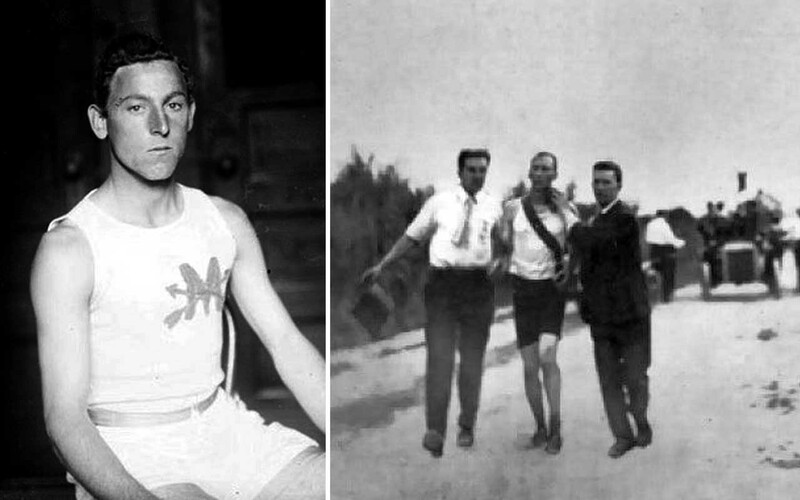 Of the 14 men who finished the race, Frederick Lorz managed to become the first man. Lorz, (pictured left) became exhausted after just 9 miles into the race. His manager then, who was driving by his side, let him hop in and the duo drove all the way towards the finish line. Just before reaching the end of the race, the car broke down so Lorz continued his journey by foot and emerged victorious. 2. 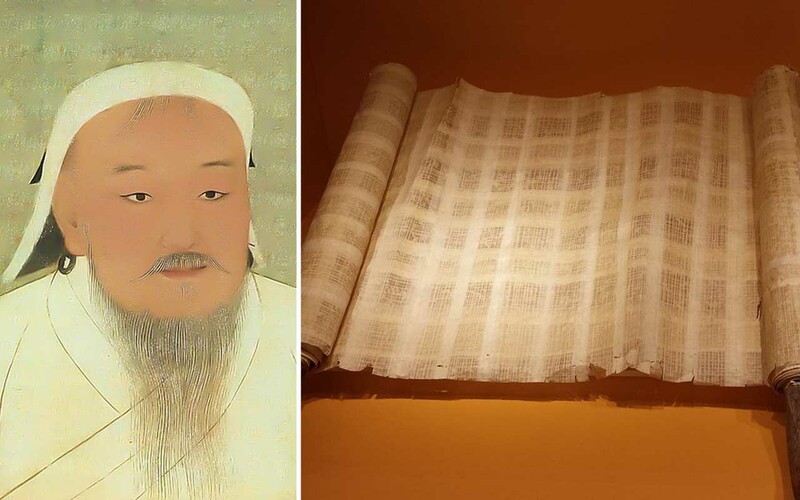 Genghis Khan created one of the first postal systems known as Örtöö, which allowed messages to travel as quickly as 200 km (124 miles) per day, every day. Around the year 1200, Genghis Khan ruled an empire that stretched across most of central Asia. Maintaining such a vast empire required a good communication system, so Genghis Khan utilized the speed of his horses to create an army of messengers. Throughout the entire empire, postal stations were created every 100 miles or so. The stations were stocked with food, water and even horses, so the tired ones could be swapped for fresh ones. Known in Mongolian as Örtöö, the sophisticated system allowed him to transfer messages within the empire at a fast pace. 3. In 1967, a man named Paddy Roy Bates created his own country off the coast of England, dubbing it the Principality of Sealand. In 1967, Paddy Roy Bates created his own country off the coast of England and named himself “Prince Roy”. 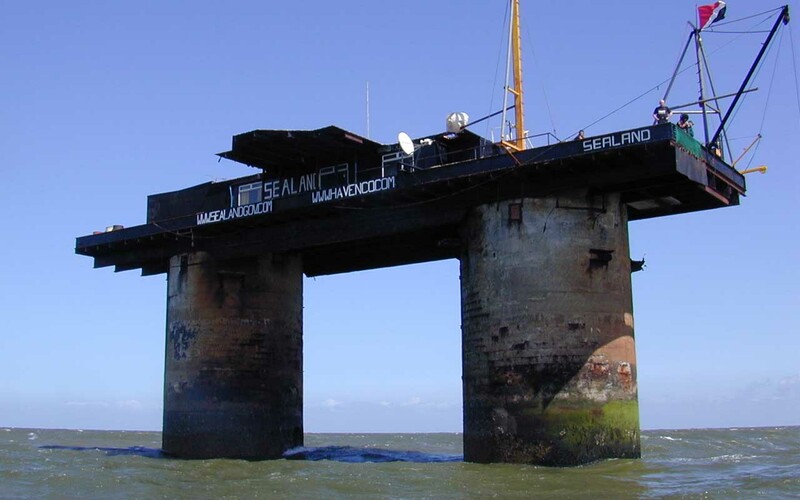 The Principality of Sealand is one of the world’s smallest micronations, but was not recognized by the UK at first. Located in the North Sea, approximately 7.5 miles from Great Britain, the site was previously known as HM Fort Roughs, a military installation built during the Second World War. 4. 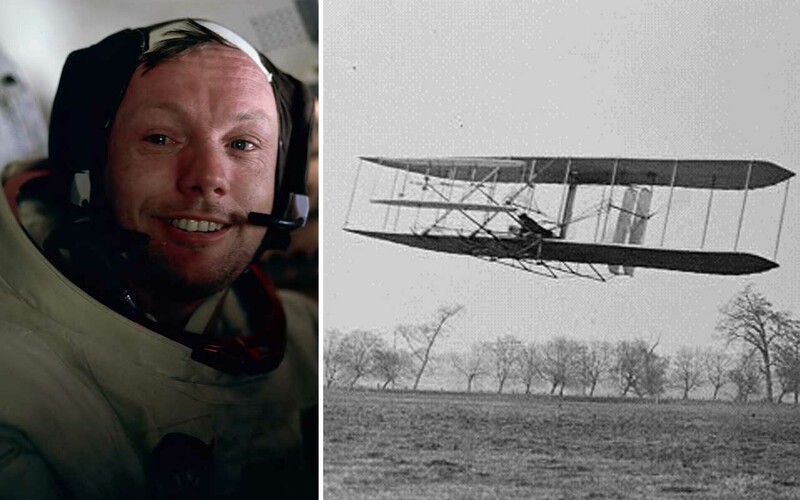 When Neil Armstrong went to the moon, he took along with him the remnants of the Wright Flyer, which was Wilbur and Orville Wright’s first powered flight; as a homage to the pioneers who paved his way. Only 66 years passed between the Wright Brothers and Apollo 11. In 1969, when Neil Armstrong and his fellow companions headed towards the moon, he was carrying with him something of great significance. As a sign of respect to the men who paved the world of flying, Neil Armstrong took remnants of fabric and the propeller of the Wright Flyer. Each astronaut was allowed to take a small bag of belongings to the moon, which was called their “personal preference kit”. 5. 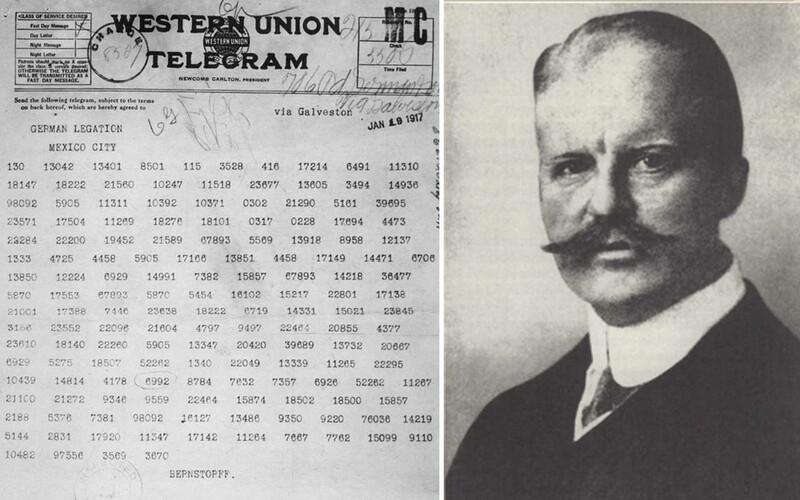 The Zimmerman telegram was a telegram from German Foreign Minister Arthur Zimmerman to the German Minister to Mexico. The telegram helped draw the United States into World War I and thus changed the course of history. Although the United States played a large part in World War I, there was a time when many thought that the U.S. wouldn’t take part in it at all. That all changed when the British intercepted a telegram in January of 1917. British Intelligence officers who were monitoring the communication between the German Foreign Office and the German Ambassador to Mexico, intercepted a telegram that was heavily coded. Two days later, they were able to decode the message and alert Edward Bell, secretary of the U.S. Embassy in Britain. The telegram was basically a proposal from Germany to form an alliance with Mexico. In return for the alliance, Germany promised Mexico that they could reclaim Texas, Arizona, and New Mexico as Mexican territory. Bell wasn’t convinced at first, thinking that the telegram was forged. Two days later, when he realized the seriousness of the message, he forwarded it to the U.S. Ambassador Walter Hines. Hines released the telegram to the media, and two months later, Arthur Zimmerman, the man who had written the original telegram, admitted that the telegram was in fact real and was written by him. 6. 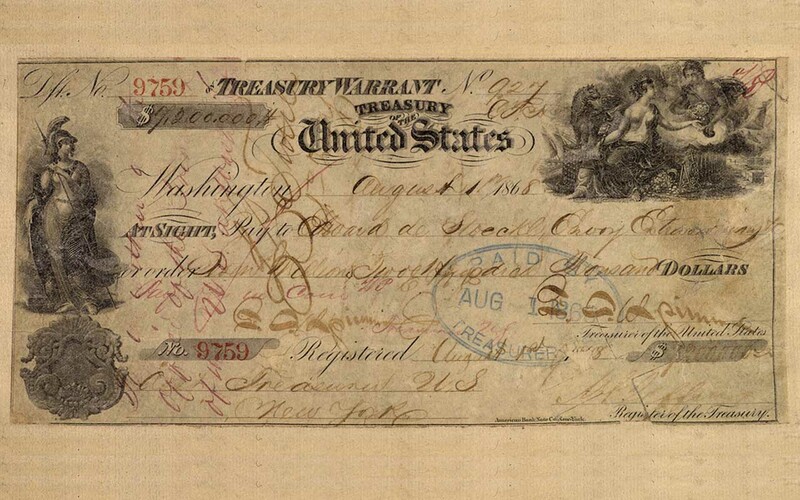 In 1867, Russia sold the territory of Alaska to the U.S. for $7.2 million. Half a century later, the U.S. managed to earn 100 times the amount from Alaska’s natural resources. Alaska was initially part of Russia but the Russians found it difficult to sustain life in the frigid land. Apart from that, they believed that the land was lacking natural resources, making it worthless for them to hold on to. On March 30, 1867, both Russia and the U.S., signed the agreement to sell 1.5 million hectares of Russian property for $7.2 million. 7. 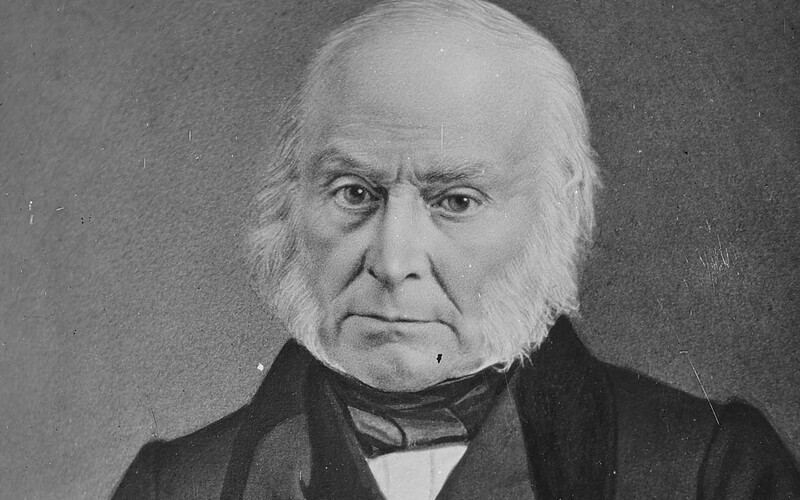 John Quincy Adams, sixth President of the United States, kept a pet alligator because he liked to see his guests flee in terror. 8. 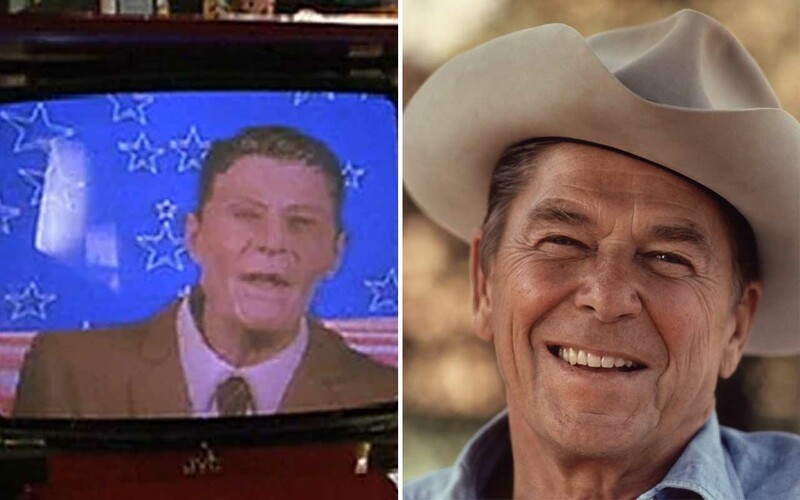 When Ronald Reagan was watching ‘Back to the Future’, he loved the joke about the president so much that he made the projectionist stop the movie, back it up, and run it again. When Ronald Reagan, the 40th President of the United States from 1981 to 1989, watched ‘Back to the Future’ in the White House movie theater, he couldn’t stop laughing. In fact, when he saw the scene that says Reagan is president in 1985 and a shocked Doc Brown responding, “The actor? Who’s the vice president? Jerry Lewis?”, Reagan asked the projectionist to stop the film, rewind the scene and play it again. 9. In 1895, the entire state of Ohio only had two cars on the road, and the drivers of these two cars collided with each other.